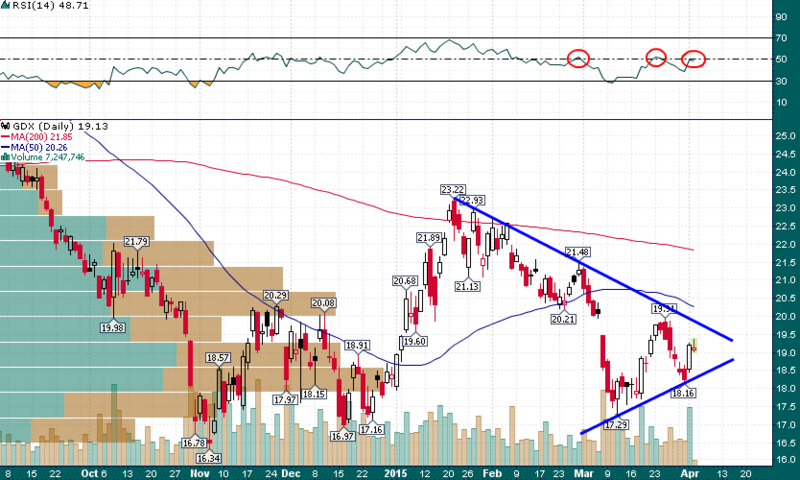 What to Expect Next in the Miners | Energy and Gold Ltd.
From my vantage point the downtrend line drawn from the January high is highly significant – a breakout above this trendline and above the big round number $20 level would greatly increase the odds of a much larger move higher. Meanwhile, a 3-5 day consolidation within the $18.50-$19.90 range would be extremely highly and would serve to increase the potential energy of any eventual price breakout. Finally, notice how the RSI(14) has consistently stalled near the median line during the past 6 weeks – a breakout above the median line would be quite meaningful.